At Family Smile Dentistry we pride ourselves in the delivery of quality care. 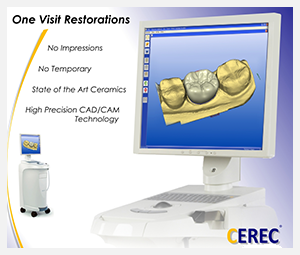 We have an outstanding dental team and some of the most advanced equipment and technology in the surrounding area. Our dental practice focuses on the patient, young and old. Our staff of two dentists, three dental hygienists, and office support staff make every effort to create a positive and comfortable dental experience from the moment you arrive at our office. Serving Manatee and Sarasota counties, Family Smile Dentistry offers comprehensive dental care in a relaxed and soothing setting. Our established practice boasts many years experience, yet always has an eye towards the newest, most advanced techniques. Most importantly, we are committed to providing quality, comfortable, individualized dental care for the whole family.